Now inside the program, we can assume the young lady (Elena Tovar) we see is Pilar in her younger years in Chile before coming to America. Young Pilar is walking through town, all smiles. Before long, she runs into a gentleman who she must have known quite well back in the day — they head into a bar for drinks. Jack thinks Pilar has been spending a significant amount of time in the program over the last two weeks; this would explain why her health has been decreasing. 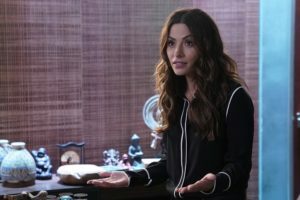 If Pilar doesn’t come out of the program, then they are going to have to move her to a different facility as she is going against their guidelines. Mara joins the program at the bar where she finds Pilar dancing with a group of people. When Mara approaches Pilar she remarks how the program must have screwed with her outfit since she isn’t dressed for the period. Mara introduces herself to Pilar and explains how she is from Onira Tech. Pilar assumes Jack sent Mara in after her. Pilar brings up the cancer; Pilar’s okay with the cancer she’s been dealing with it for a while. Mara informs Pilar of Jack’s plans if she doesn’t leave the program; Jack is going to move her from Shady Pines to another facility. Pilar is shocked to find this out, the facility she would be moved to is more of a prison than a facility to help people. Car lights brighten up the inside of the bar as Pilar hears vehicles pull up. “It’s happening,” Pilar says and they both look around and then gun fire takes over the bar. Mara tries to convince Pilar to leave but she won’t. “It’s my second chance … at everything,” and she heads for the front door — directly into the gun fire. Mara follows her and as soon as she gets outside, Pilar is in the back of a vehicle headed down the street. A bunch of military men crowd the streets and start grabbing people from buildings; Mara doesn’t understand what she is seeing. Mara returns to Onira Tech to talk to Paul about what she experienced in the program with Pilar. She’s trying to pinpoint the location of where they were so she can figure out what happened when the soldiers came. Mara knows the program wasn’t some sort of fantasy — Pilar was anticipating everything that was going to happen. Charlie comes by and drops a whole bunch of information on them. Pilar was born in New Mexico but in 1973, she applied for a visa in multiple countries. 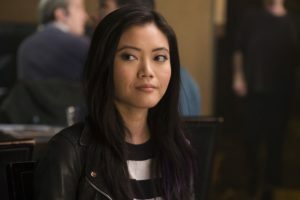 From the list, Mara isn’t able to figure out which is the one they were in; once in her office, she asks Dylan to search for a name she saw on a poster in the bar. Dylan is able to narrow down the location from the name on the poster which was a band in Chile but was never able to release their album. Mara doesn’t understand why. “Probably cause of the coup.” Charlie has the knowledge here but Mara and Paul have no idea what he is talking about. The coup of 1973 with the Chilean army which forced the Chilean president to step down, Charlie explains. Paul doesn’t understand why she would want to go back and relive the coup? Mara also knows she needs to figure it out quickly if she is going to keep Pilar from being transferred from Shady Pines. She grabs her tablet and heads for the couch, but before she can sit down, Paul stops her. He wants to know if she is planning to go back in right away and asks her about the bruising. Mara let’s him know it’s getting better she asks him if he is concerned about it. Paul explains his concerns about not knowing why the bruising revealed itself after she left the program and how it has never happened before. What happens in the program isn’t supposed to transfer over to real life. Mara is choosing to let it play out because she has faith in Paul and Lexi, knowing they will eventually figure out why the bruising happened. Paul isn’t really satisfied with her response and is still worried about her. Mara returns to the program and is dressed for the period so she blends in. She follows Pilar into a church where there are a handful of young girls asleep on mattress across the floor. One of the girls wakes up and tells Pilar she is scared that the soldiers are going to come and find them. Pilar lets the little girl know, a friend of hers told her she was safe and hands her a doll. Mara is watching from a distance at this time — Pilar doesn’t know she is there. A male voice whispers for Pilar and she gets up and leaves the room, Mara follows. 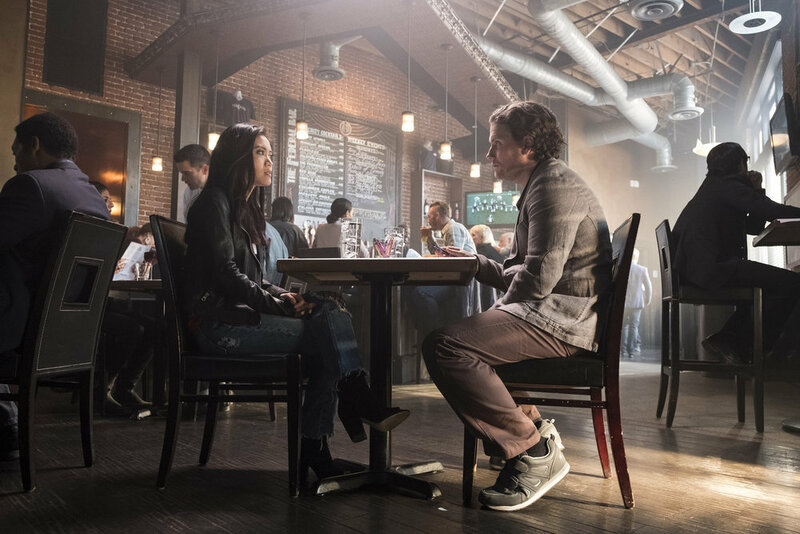 In an alley, Pilar meets the man from earlier when the episode started and she went to the bar. They embrace and he tells her that he will be back for her the next day. Mara whispers Pilar’s name and she jumps out of her skin not knowing Mara is there. Mara is excited and doesn’t care that she just scared Pilar half to death because she thinks she has figured out why Pilar is there. It’s because of Joaquin (Adrian Anchondo). *Eye Roll* Pilar is sick of Mara being there and meddling with her business. Pilar grabs her stomach, she is suddenly in severe pain. Mara reminds Pilar the longer she is in the program, the faster her health is deteriorating in the real world. She needs to leave now but Pilar won’t and goes back into the church. 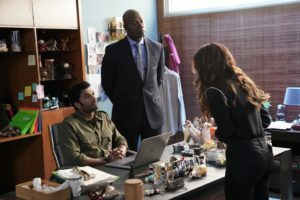 Paul is in Lexi’s office discussing the bruise Mara has from when she was shot. Lexi doesn’t think it’s possible since everything is supposed to stop at the door. Paul tries to use the example of false pregnancies – the phenomenon when a woman believes she is pregnant and tricks her brain into believing it and begins to show signs of being pregnant even though she’s not. He’s pushing that the mind creates the physical state. “Oh so she’s pregnant too,” Lexi chides as she types away on her computer. Paul laughs frustratedly because the program can fool the brain into thinking that something that doesn’t exist is real, and THAT could have more consequences than they thought. Someone they both know warned them something like this could happen. Lexi said when they were discussing the “what-if” possibilities, it was just that — a bunch of what-ifs. She thinks this is a one off and won’t happen again, a fluke of the program. Paul is concerned if the next time Mara is harmed in the program, it could lead to something much worse once she comes out. Lexi strikes a nerve with Paul when she asks him why he is so worried about her? Apparently he’s not, he’s concerned about how this will affect the program moving forward. Mara is walking through the halls of Onira Tech thinking about the night before with Chris and pulls out her phone and texts him. She then walks into Paul’s office to fill them in on why Pilar returned to Chile, 1973. Pilar created this program out of her love for Joaquin. Mara turns the reins over to Dylan and he fills them in on who Joaquin was. Short story: Joaquin died leading a group of military rebels and Pilar never saw him again. Paul plays devil’s advocate that if she returned to the program to see Joaquin again, why won’t she come out. She wants to change the program that Pilar created allowing Pilar and Joaquin to have the romantic evening they were never able to get. Paul warns Mara because they need to be very careful about changing the program without Pilar’s knowledge — it could change everything Pilar worked to create. Mara heads into the bar they keep returning to; she yells to get the patrons attention. She needs to find Joaquin and in order to do so, she offers a large wad of cash to the first person who can bring her to him. Mara finds Pilar and stops her, Pilar is late and doesn’t want to listen to Mara. 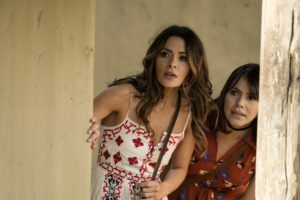 “What is done is done,” Pilar says, but Mara explains how the best part of Reverie is how it isn’t real and they can do whatever they want. She goes around the corner and comes back with Joaquin. Pilar doesn’t understand what he is doing there. Pilar is mad at Mara for bringing Joaquin because he is supposed to be leading the raid. She pushes him away and tells him to go. “I thought that’s what you wanted,” Mara says knowing she’s made Pilar upset with her actions. Pilar goes onto explain that Mara just assumed that this is what Pilar wanted but she never took the time to ask. No one ever takes the time to ask everyone, they just assume what is right for her. Before Pilar can finish, the soldiers drive into the city pulling up in front of the church where the girls were. Mara doesn’t understand what is happening. Pilar takes off for the church but before she can get inside, a soldier stops her. Mara chases after her and a soldier grabs her as well. Other soldiers begin pulling the girls from the inside of the church and load them into a vehicle. Mara finds Pilar at a bar, she informs Pilar the soldiers from the night before are holding the girls in the school. Pilar let’s Mara know that the soldiers are questioning the girls about the rebels and they are choosing children because it’s easier to force the truth out of them. Mara apologizes because she assumed Pilar was there out of love. “I did, for those girls,” Pilar tells Mara. 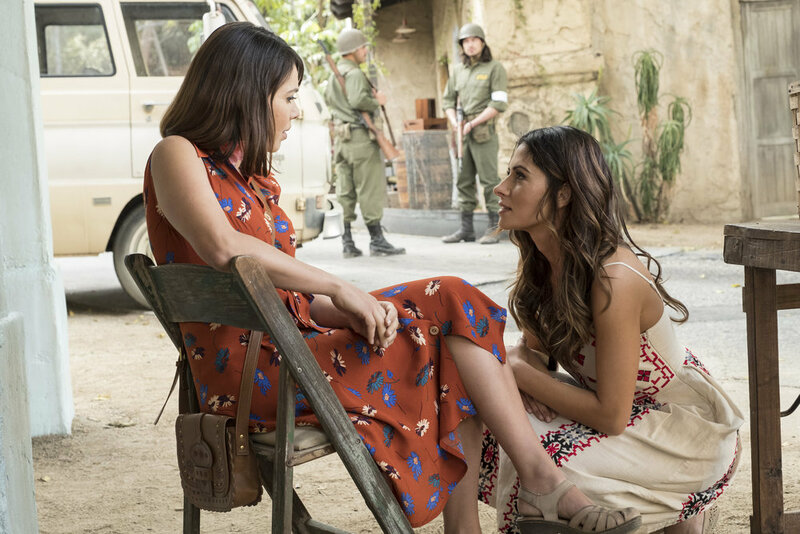 Mara tries to convince Pilar that she is still able to save the girls, all she has to do is leave the program and start it again. Pilar laughs knowing Jack will never let that happen not after this. Pilar is almost in tears and Mara asks her what really happened? Pilar turns from the van to Mara and explains that she was in Chile for a cultural homestay. The girls are so important to her because on that exact day 45 years ago, she fled town with the girls. She piled them into a stolen van and drove them to the border. “You saved them,” Mara says. Pilar nods and continues, the only reason she was able to save the girls was because the soldiers were busy fighting the rebels. Except this time it’s different since Joaquin isn’t there leading the rebels. Mara realizes it’s all different because she changed the program. Pilar wanted to go through this one more time so her life could mean something but “thanks” to Mara, she won’t be able to have that. 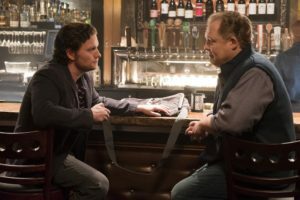 Outside of the program, Lexi is meeting with Oliver Hill at, I bet you can’t guess… a bar… did you guess correctly? Oliver jumps right to asking Lexi why she is there. Lexi explains how two Reveries crossed in a modified 2.0, Oliver mentions East Berlin. Lexi further explains about the anomaly that took place and how a physical manifestation took place in the program and the person returned with the same bruise. Oliver asks if it was her that it happened to and she tells him it was Mara. He wants to know what happened? Lexi explains how the bruising happened because of a gunshot which happened during the program. Oliver jumps down her throat because he had warned them this could happen; Lexi bites saying she agrees with him and needs his help. Oliver asks Lexi about the modified coding and what the details were exactly. Lexi explains them to him to the extent she feels comfortable. Oliver explains that it may not have been the 2.0 at all. I will save you the technical jargon and give you Kayla speak… Mara wasn’t in deep enough for the crossed Reveries so when she was shot, her brain told her body where the wound was and that her body was injured. Her muscles tensed up and caused the bruising. Oliver picks up and starts scribbling on a placemat and hands Lexi the folder she needs to find the safeguards to make sure it never happens again. Before she is able to get up and leave, Oliver comes to the conclusion that the program was given to the military and he explodes. He’s not happy because he knows it isn’t safe in their hands. Lexi reminds him that he doesn’t get a say in Onira Tech as it’s her company. Oliver agrees but you can tell he doesn’t. Mara is in Pilar’s room at Shady Pines talking to Jack, trying to convince him to allow Pilar to come out of the program and go back in one more time. She’s trying to fix her mistake but Jack isn’t having it. He doesn’t want to violate policy. Mara tries to turn Jack’s policies on him because what Pilar is doing in the program is living, the only answer he should want to give is yes. Yet the only answer he has is no. Before leaving, Mara talks to Pilar and looks around her room. She begins looking around trying to find clues to help. In the nightstand drawer Mara find the doll Pilar had given to the little girl in the church. She still has it after 43 years. Mara is in Charlie’s office explaining to Paul and Charlie about the situation with the girls. She wants to help Pilar figure out a way to get the girls out and if she can get the girls out, then she will be able to get Pilar out before Jack decides to move her. Paul asks Mara if this means she will have to engage with armed military. Mara made a mistake and she has to go in and fix it. Pilar is waiting for her and asks what Jack said. Mara let’s her know he said no but she has another plan to help the girls. Together they head to where the girls are. Step 1: a distraction…Mara places an activated brick of C4 on the back of a military vehicle; they quickly walk away and it blows up. While the soldiers are distracted, Pilar and Mara sneak into the school and get the girls. They are able to get out of the school and into the van. Before Pilar can get in the van, the soldiers spot her — Mara tells her to drive so Pilar runs to the other side of the van, gets in and starts driving. Pilar drives right passed the soldiers even though they are shooting; they are able to make it to the border. Pilar explains to Mara that the girls get over the border and are reunited with people from their town. Mara realizes that Pilar doesn’t actually know what happens to them; Pilar had tried to track them down in the years after but wasn’t ever able to. The last time she ever saw them was when she left them at the border. Pilar realizes this is when she agreed to leave the program but she can’t and she begins walking with the girls to the border. Mara stops her, reminding her of what will happen if she doesn’t leave the Reverie. Pilar doesn’t care, she would rather stay there with them. Mara reminds her that these girls aren’t the real girls — they are what the program created for her. Mara tries to use the memory of the real girls and what they would have wanted, to get Pilar to leave. She realizes Mara is right and Pilar says her farewells. Elvia gives the doll back to Pilar and she watches the girls cross the border. Pilar is finally ready to go back. 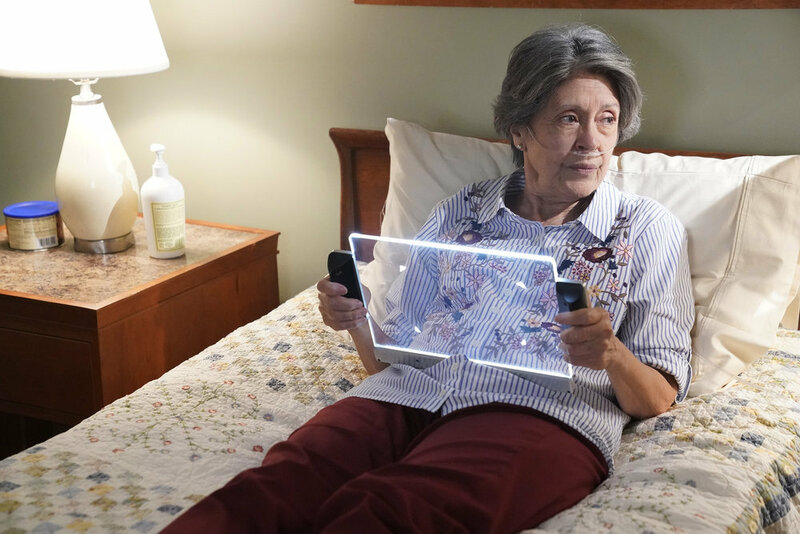 Pilar is back at the assisted living facility going through the paces, not happy to be there at all. She’s in the cafeteria again with a meal she doesn’t want to eat. When Mara arrives, Pilar lights up. They go to Pilar’s room and talk about what happened in the program. Pilar thanks Mara for helping her get the girls to the border — it was more than she could ever ask for. Mara smiles and calls for Charlie who was in the hall waiting. He brings a woman and her granddaughter into the room. “Pilar, this is an old friend of yours,” Mara says, and Pilar realizes this woman is Elvia — one of the girls she helped get over the border. Pilar is surprised they were able to find Elvia and the other girls. Mara explains who Charlie is and that he is the one who was able to find Elvia and the girls. Elvia introduces her granddaughter to Pilar and hands her a stack of photos of her family, all who thank Pilar because without her getting Elvia over the border, none of them would be here. “They are all here because of you,” Elvia says to Pilar. Oliver is at a bar flipping a zippo lighter when the Shady Security Guard (his name is Leekly but Shady Security Guard sounds better) from Onira Tech joins him. 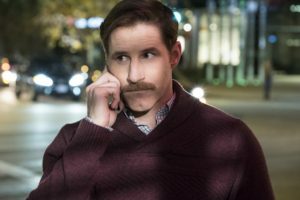 Oliver asks if the guard understands what he needs to do? Shady Security Guard says he does. They talk money and the Shady Security Guard leaves. Oliver removes a tablet from his backpack and walks away from the bar. He holds up a tablet, says “Apertus” and falls to the ground. Mara returns to her house and finds Chris waiting for her. She is surprised to see him but she isn’t mad about it. She does ask how he got in, he used his key he had from when they were dating. Mara wants to tell him all about her day but first she’s hungry. Her phone starts to ring when it shows it’s Chris calling, now she’s confused. She asks the Chris she is with why he is calling her. He shows her his phone — he isn’t calling her. She answers the phone and it’s Chris on the other end. He apologizes for not getting back to her as he was in session. Mara starts to realize what is going on and asks the Chris on the phone when the last time they saw each other was? “Three days ago.” Mara is really freaking out now, she drops her phone. The Chris standing in front of her begins to glitch, confirming it’s a derealization. But, instead of disappearing, Chris turns into Ray. “I’m here for a reason,” Ray says to her and then he is gone. We transitioned from “Black Mandala” which was an intense episode for everyone involved to “Despedida” which is a warm and fuzzy episode. Which comes as a perfect transition into what we can only suspect will be an intense final two weeks for the season. All Pilar wanted was a second chance at one of her favorite things she did when she was growing up, but Mara got in the way. Thankfully, Mara was able to fix her mistakes and turns out in the end with the help of Charlie, was able to give Pilar the reunion she always longed for. This episode called back a few things from the past which of course was only a matter of time before either of them would surface. 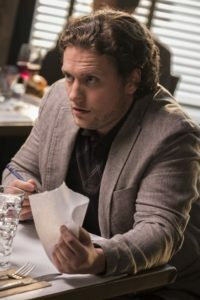 Oliver Hill is clearly up to no good going into next week’s episode. Stealing the tablet and BCI with the help of the Shady Security Guard … hmm, maybe Pilar and Oliver Hill have something in common with their clever tactics? Whatever Oliver is up to, somehow Onira Tech is going to be involved. Now for that final 2 minutes of the episode with Mara’s derealization. Hold the phone because this isn’t good. Her derealizations are becoming so realistic she can’t differentiate them now. She always saw her niece when they happened before, but now it’s a piece of her everyday life. Then for Ray to appear briefly for a few seconds and disappear — Mara has to be panicking and I am too. I mean, who wouldn’t be?!? I hope everyone is ready for a crazy last two episodes. I think I’m ready … yes, I’m ready.